Sama Ke Chawal or Samvat rice is also known in english as Barnyard Millets, Kuthiravali in Tamil, Udalu in Telugu, Shyama in Bengali, bhagar in hindi ,Khira in Oriya, Swank in Punjabi, Kavadapullu in Malayalam, Oodalu in Kannada plus other names for Samwat chawals are samo, saanwa , samak, saunfiya, samkiye, vari chawal, varai. 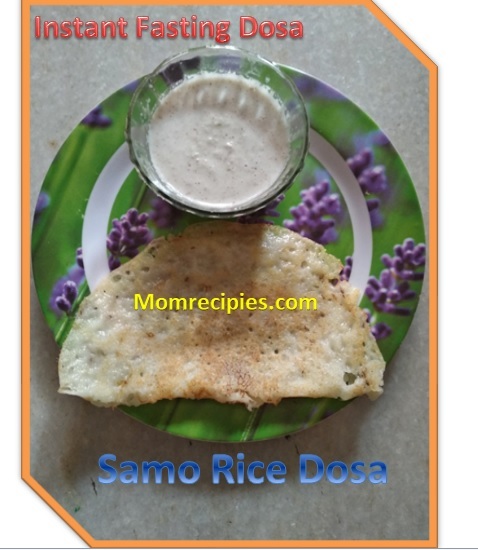 As sama rice is allowed in fasting this dosa is made from sama chawal and sabudana (sago/javarisi) .It is vegan, gluten-free and healthy dosa fasting recipe. Its very easy to make and tasty to eat. 1) Wash and soak Sama rice/barnyard millets and sabudana/sago separately for 3 to 4 hours or overnight.Soak sago in large bowl as they will expand after soaking. 2) Drain all the water and grind both sama and sabudana together and make a smooth paste by adding required quantity of water in it. 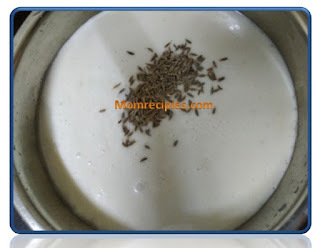 3) Take the batter in a large mixing bowl and add sendha namak ,curd and cumin seeds. Mix well. 4) Keep it aside for atleat 30 minutes ,if possible keep it aside for 2 hours for fermentation. 5) )Heat a non stick tawa or pan . Smear the tawa with little bit of oil. 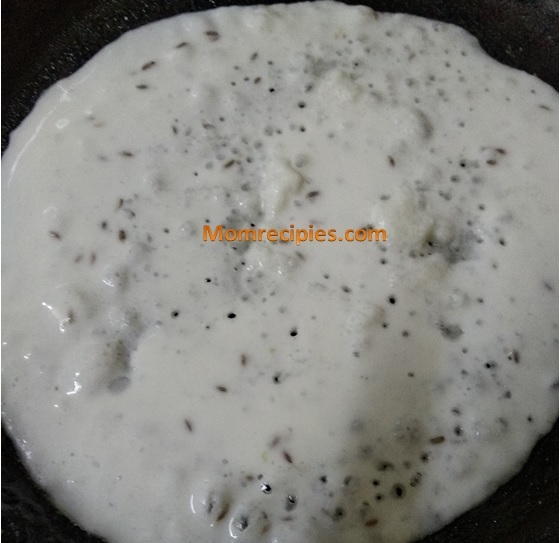 6) Pour a ladle full of dosa batter and spread into a thin circle. 8) Flip the dosa to the other side and roast for 30 secs. 9) Remove the dosa from the pan or tawa and repeat with the remaining batter. 1. 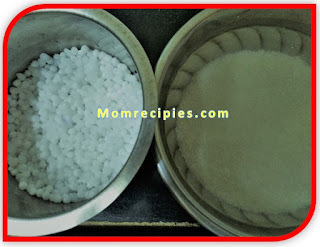 If you are not preparing the dosa for the vrat, you can use regular salt instead of rock salt. 2. 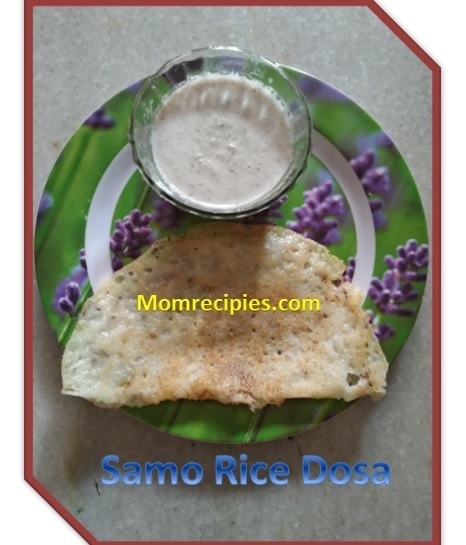 If you are not preparing the dosa for vrat you can add cooking soda 1/4 tsp of soda in batter. 3. You can also add onions and garlic if it is not prepared during festive seasons.